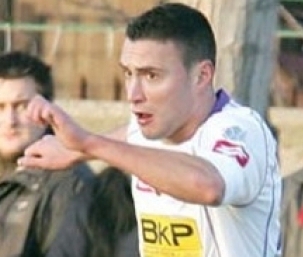 A more discrete presence on the market than in the past, Timisoara managed to sign three players that were going to play an important part in the first half of the season: Ovidiu Burca, on a free transfer, Helder, on loan from Nancy, and the former Inter Milan signing (back in the days when his huge potential had enough years ahead to be fulfilled), Ianis Zicu. The results were better than ever, with the team finishing the year unbeaten, even after a quite long spell under the command of an unexperienced coach like Cosmin Contra, and this strategy offered the chance to shine to players like Axente or Scutaru, talented youngsters bought a few years ago, who were used to be sent on loan or kept on the bench. FC Timisoara’s tactics against Manchester City. My pleasure, Roberto! Timisoara snatched a point on Sunday evening in the dying moments of the away game at Universitatea Craiova, thanks to Ianis Zicu, and it’s pretty clear who are the 13-14 players that will have the honor to fight with the Citizens, hoping to produce another European miracle. 4 goals in 5 matches is a promising return from a striker discovered by Timisoara six years ago, who was used to be sent on loan to smaller clubs, once the season was kicking off. This time, Axente speculated Timisoara’s discrete transfer campaign and caught the attention of Vladimir Petrovic, a coach who promised to give the team a more offensive approach. The 23 years old proved just the right man, although shuffled Pizon’s best attacking “cards”: Magera was pulled back as a central attacking midfielder, while the skilful Goga had to move on the right flank. Strong and tall enough to resist against tough opposition, Axente prefers a direct approach, based on quick turns and instinctive finishing from different positions. Good in the air, he’s quick and unpredictable enough in movement, capable to find just enough space and put both power and precision behind his shots. 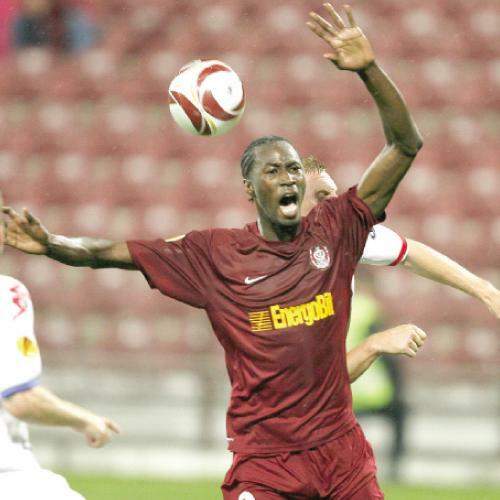 All these qualities were on display against CFR Cluj, the latest match influenced by Axente (hit the bar once, then scored a nice goal to make it 2-1), who has every reason to feature against Manchester City, in the Europa League playoff, a match he wouldn’t have dared to dream of when he was improving in the second division with CS Buftea or getting playing time in Liga I with Otelul Galati.